Let’s talk about nail polish. For me it is something I use for special occasions and during the summer when exposing my toes to the beach and flip flops. Due to the nature of the product I don't think you'll ever find 100% "green & clean" nail polish but you can find "free from". Many conscious brands are classified as "3 free" and we are even seeing the rise of "5+ free". What does that mean? Well there are several ingredients found in nail polish that are considered undesirable and toxic. The top three ingredients we should be avoiding are - toluene, dibutyl phthalate (DBP) and formaldehyde. TOLUENE: helps the polish to apply smoothly, it is widely banned and restricted in several countries but you may still find them in USA brands. It can cause skin, eye and respiratory irritation, it is believed there is an increased association with foetal loss. Toulene can also be contaminated with the carcinogen Benzene. DIBUTYL PHTHALATE (Phthalate): classified as toxic and banned from products sold in the EU. A brand that distributes to US and EU may have different formulations for each country. Phthalates are known to cause hormone disruption and suspected carcinogens. They don't accumulate in the body but we are susceptible to high levels of exposure due to the volume of products we often use on the body. FORMALDEHYDE: a suspected carcinogen, eye and skin irritant and very toxic by inhalation, ingestion and skin absorption. Occupational exposure has been linked with higher risks of miscarriage. Some ingredients used in cosmetics degrade into formaldehyde and the ingredient is banned for use in personal care in some countries. 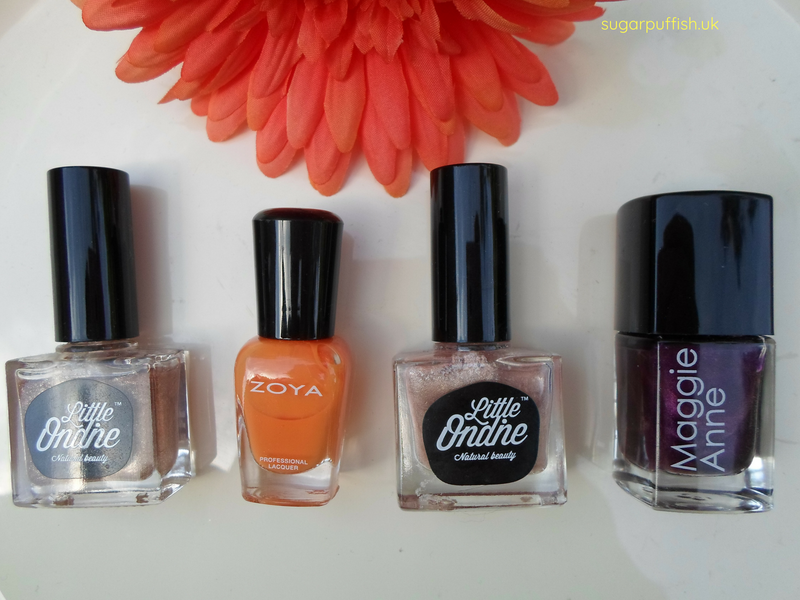 If you decide you would like to reduce your exposure to certain ingredients in nail polish then look to the following brands - Kure Bazaar, Zoya, Pacifica, Maggie Anne, Little Ondine, Benecos, Priti NYC - these are available from Love Lula, Content Beauty and Naturisimo. You may also like to consider a greener nail polish remover and I high recommend Fresh Therapies. What's your favourite "free from" nail polish brand and I'd love to know your favourite colour from the line? I'm never without polish but thinking about all the nasties freaks me out. I tried a polish remover from Ciate just before Christmas and the smell actually made me sick. I know remover is always strong and I've used some really bad ones before but they were nothing compared to this. Are you saying then that Leighton Denny and Opi do contain all three? OPI reformulated in 2006 & removed DBP (dibutyl phthalate) and Toluene some of their line (strengtheners/nail hardener) does contain formaldehyde, this information is provided on their website. According to the Leighton Denny website they are free from Formaldehyde, Toluene and DBP.